Masonic Assisted Opening Pocket Knife | BUDK.com - Knives & Swords At The Lowest Prices! 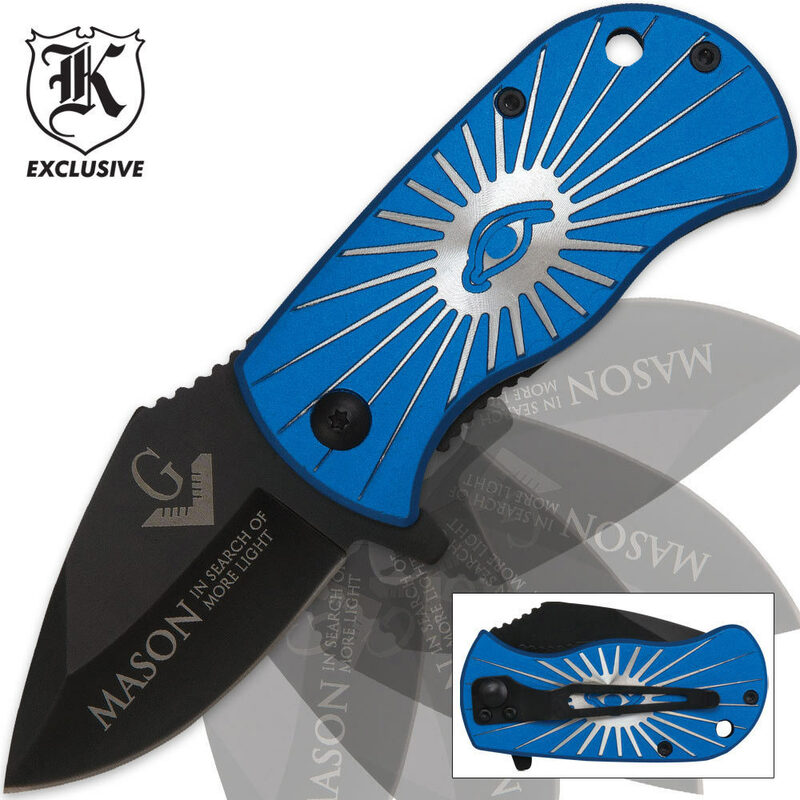 This assisted open folder is sleek and stylish! 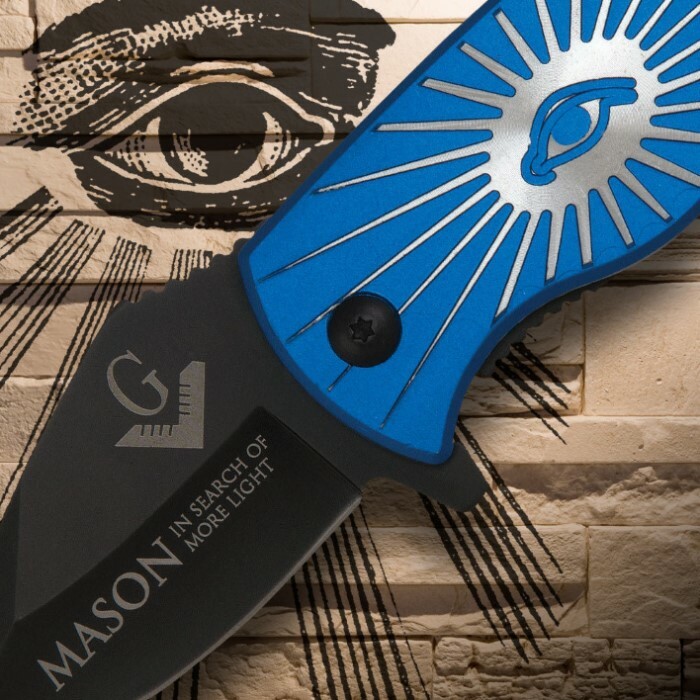 Featuring a brightly colored aluminum handle with the Masonic eye, this knife is completed with a black stainless steel blade that opens almost effortlessly with the help of assisted-open technology. Great little knife. I have one and gave one as a gift. Although this wouldn't be my first choice as a defense weapon (though it would work in a pinch), this is an awesome little blade. People always trip out when they see me flip it out. I give the blade thumbs up! This knife is great! I really love the blue color and I also like the Timber Wolf Pack Leader Assist Folder! I have several Masonic knives of various ages and values but this little knife is unique. It is ruggedly built and solid in the hand without being a burden in the pocket. I really love the All-Seeing-Eye in relief on the scales that gives good traction and emblematic imagery important to all Masons. My Brothers were all fascinated and impressed by this knife and many have expressed interest in ordering one for themselves. BudK always has a remarkable inventory of Masonic-themed items and this is a good example. Thank you!